My friend wants me to buy it for him its too big on him the msrp is $160 hes selling it for $40. If i go get i wouldn't wear it sleeveless i would do a white long sleeve button up shirt and keep it simple. Why would you buy it for him if it won't fit him? If you like it and if it fits you, go ahead. I certainly hope so! 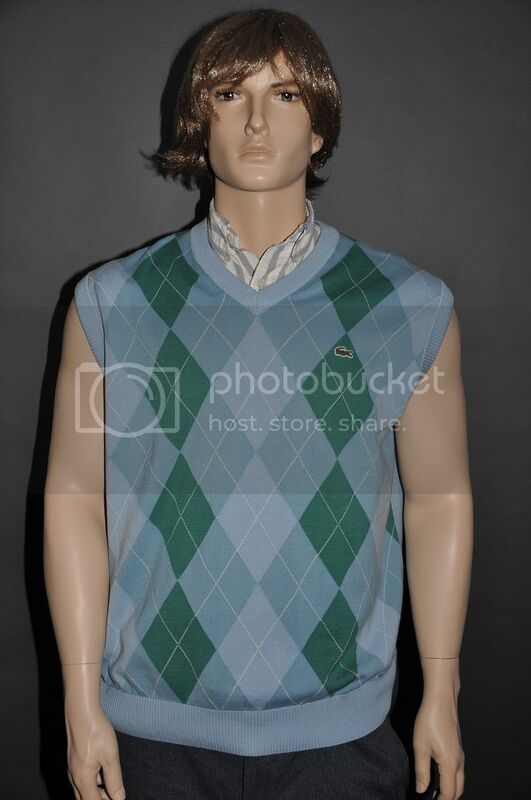 It's a sweater vest--never wear it without a shirt underneath! Personally I think it's not fashionable. I haven't seen men wearing vests in the office in a loooooong while. Also even 40$ is too much. Forget 160. what is is, cashmere? and I'd never buy anything that doesnt fit. It off a little off fitting and you can't really do that with sweater vests. don't cop..... unless you're going to an 80's themed party. Maybe......but, know one will know it. How baby blue is ugly?